Purism is the concept behind these trousers which were inspired by OSKA culottes. Their precise and clean look are the result of design accuracy and the high quality flowing material. 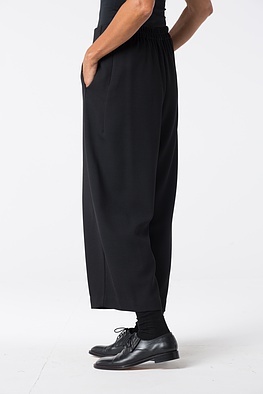 These trousers have a beautiful narrow fit at the hips and gain width at the legs. 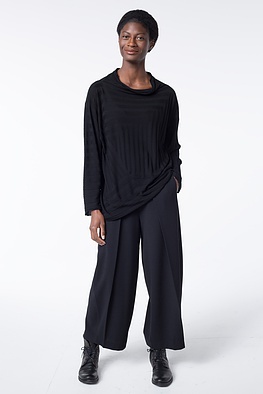 The new tops with an emphasized waist or in the feminine A-line are harmonious combination partners. 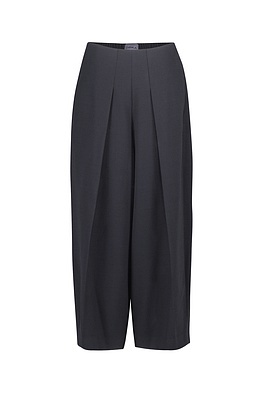 The stand-up pleat at the front give their understated silhouette an elegant twist. 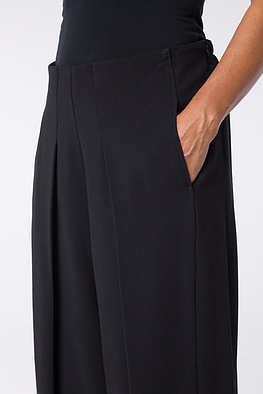 An elastic back waistband and pockets are typical to OSKA. Our model is 1,78 meters tall (5.8 feet) and wears size 2.